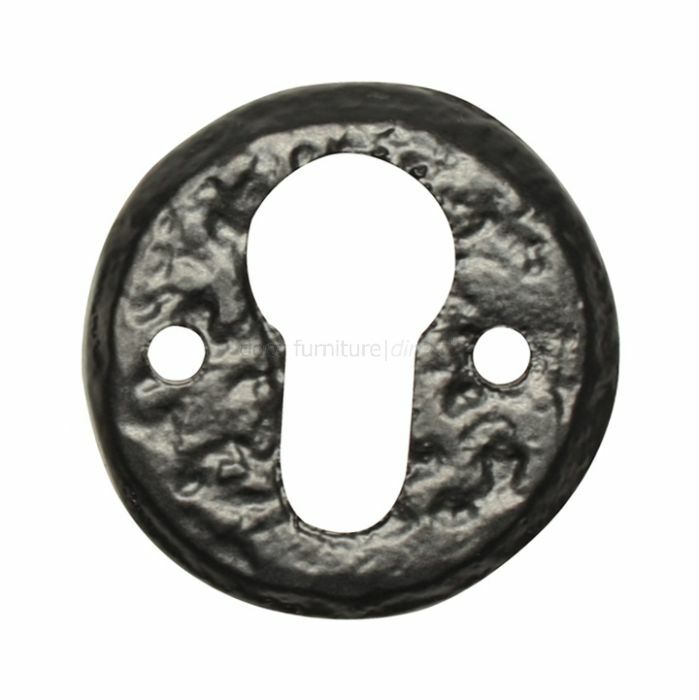 Black antique style circular Euro profile escutcheon. Diameter measures approximately 51mm. PLEASE NOTE: EURO PROFILE PRODUCTS ARE NOT DESIGNED FOR STANDARD MORTICE KEYS - The keyhole shaped cutout is enlarged for use with a EURO PROFILE cylinder.